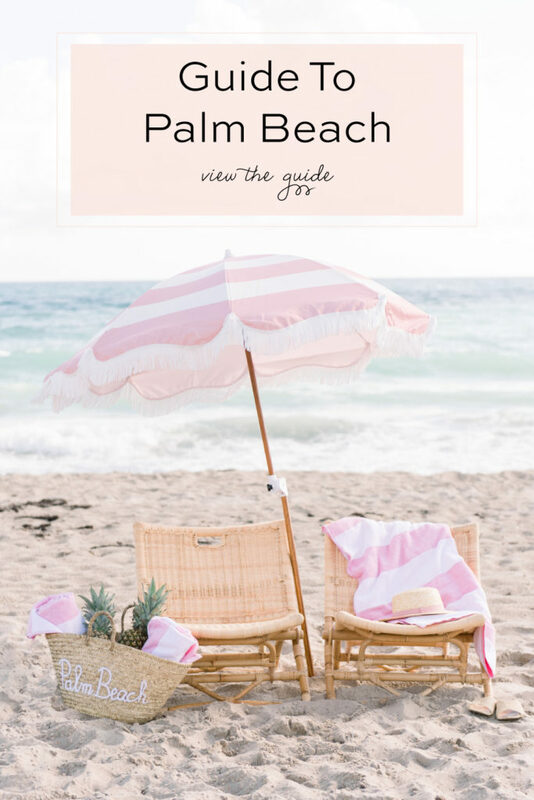 Earlier this week we shared what we packed for Harbour Island, which is now one of our favorite islands in the Bahamas! 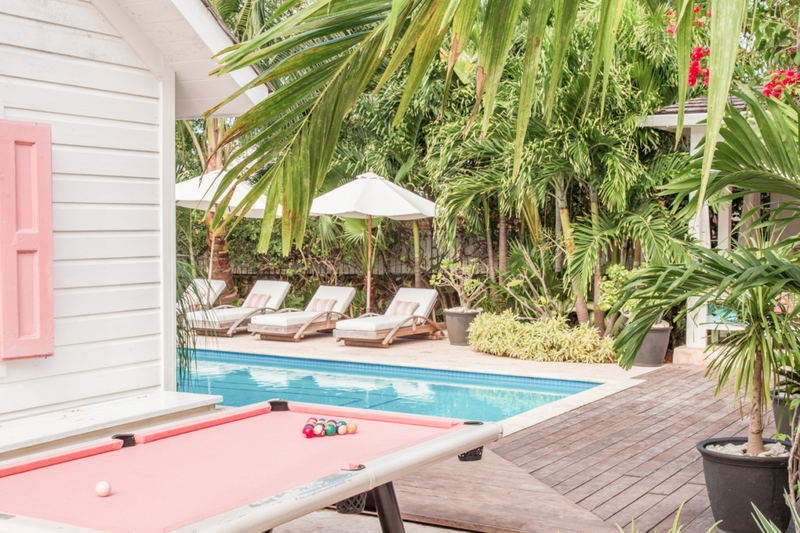 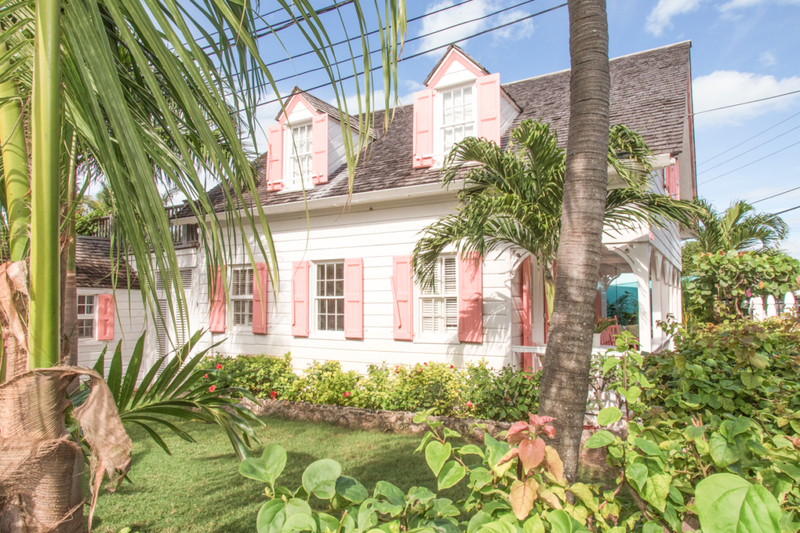 One of the reasons that we love this stylish destination is that visitors can rent one of many charming cottages on the island. 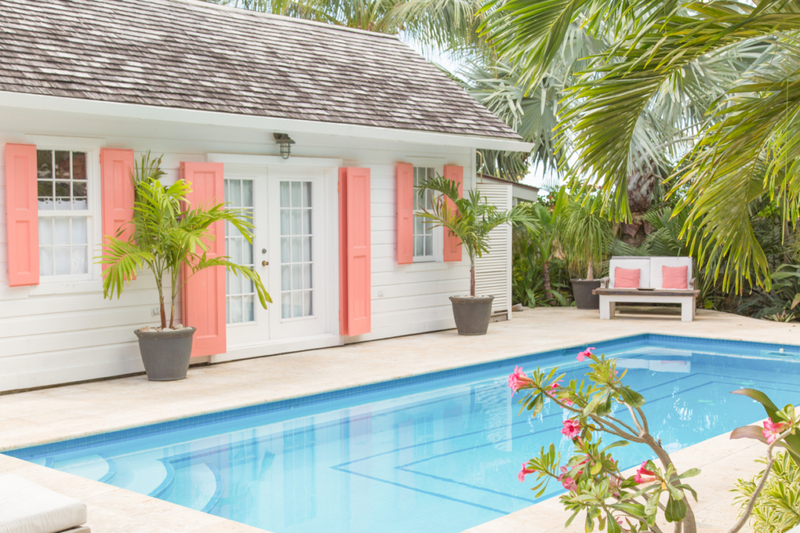 Nearly every home has colorful shutters – like pink or blue or many hues in between – and the interiors are so chic! 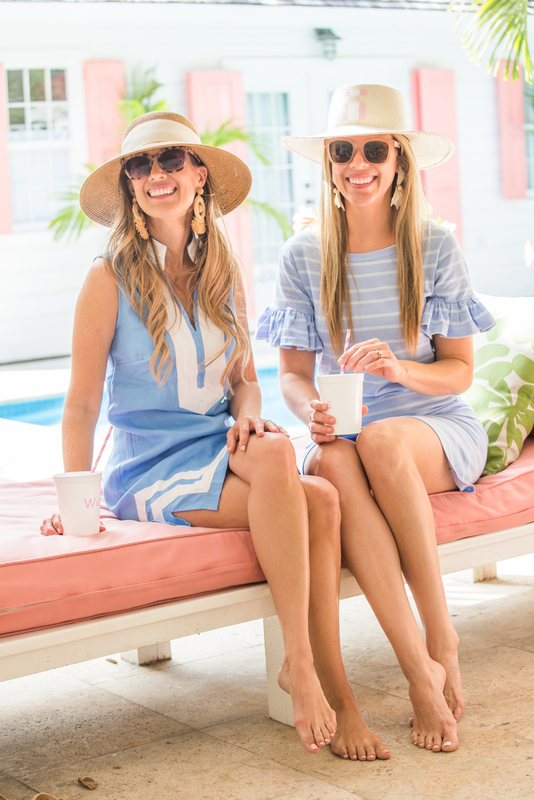 When we were deciding what to pack, we knew we wanted to bring a couple pieces from Sail to Sable’s New Spring Collection. 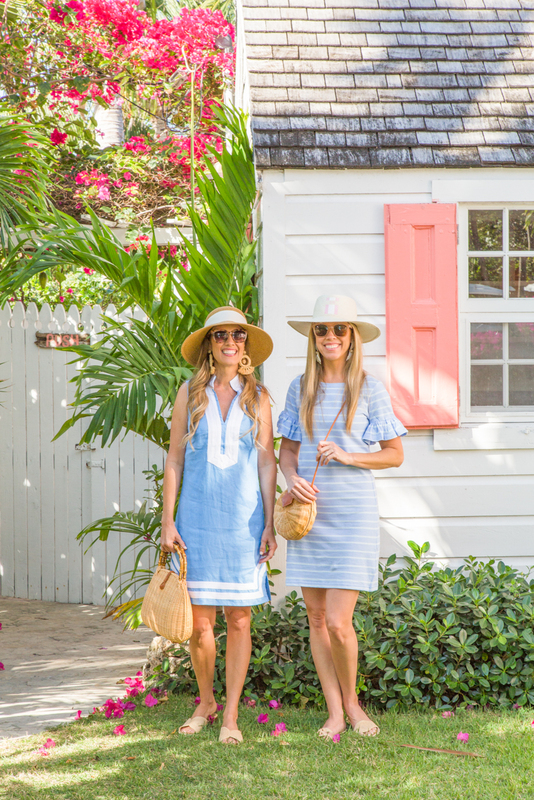 We were instantly drawn to their new hydrangea hue and found these cute styles that worked perfectly for our trip. 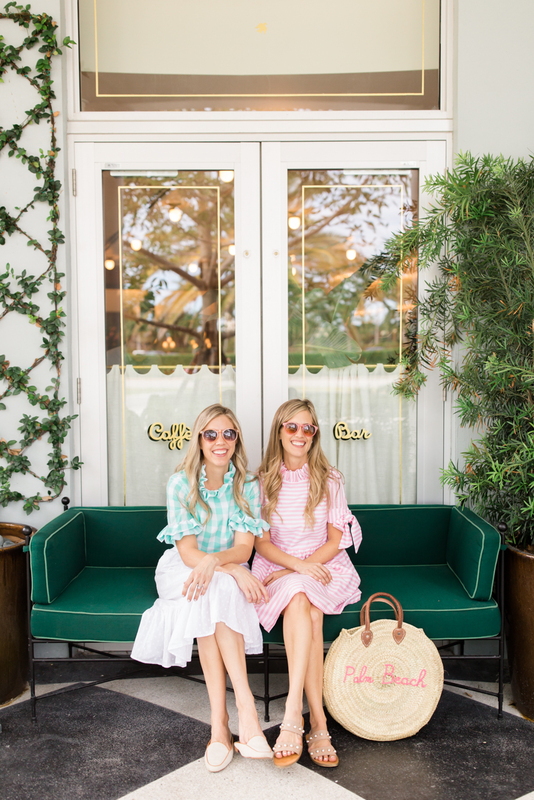 Today we are sharing how we wore these looks and the 18th century ship captain’s cottage we stayed in called The Hatch! 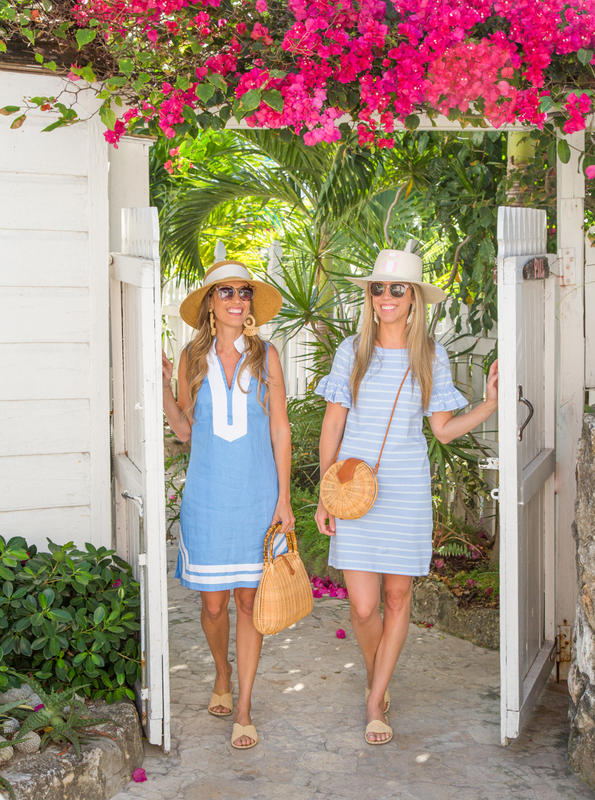 Beth: I love Sail to Sable’s timeless tunics, and this season I added their Classic Linen Dress in sky blue to my collection. 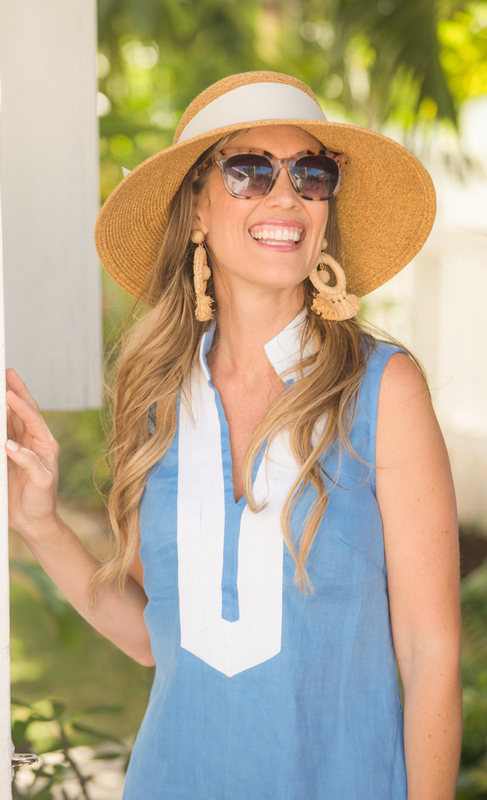 The linen fabric and sleeveless style are great warm weather staples and look great with these Raffia Earrings and Slides, this Bow Sunhat, this Wicker Satchel and these Sunnies. 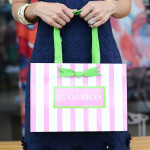 Other tunic color combos I love this season include this Blue Striped Tunic, this Mint and Navy Tunic, and this Long Sleeve Striped Tunic! 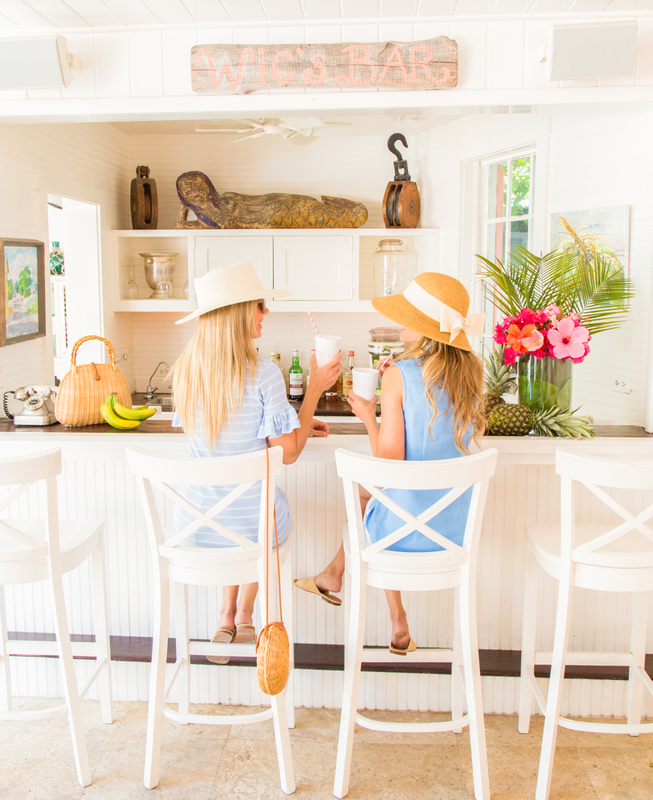 Danielle: For this getaway, I wore STS’s Ruffle Sleeve Shift to hop from lunch the beach and back to our house. 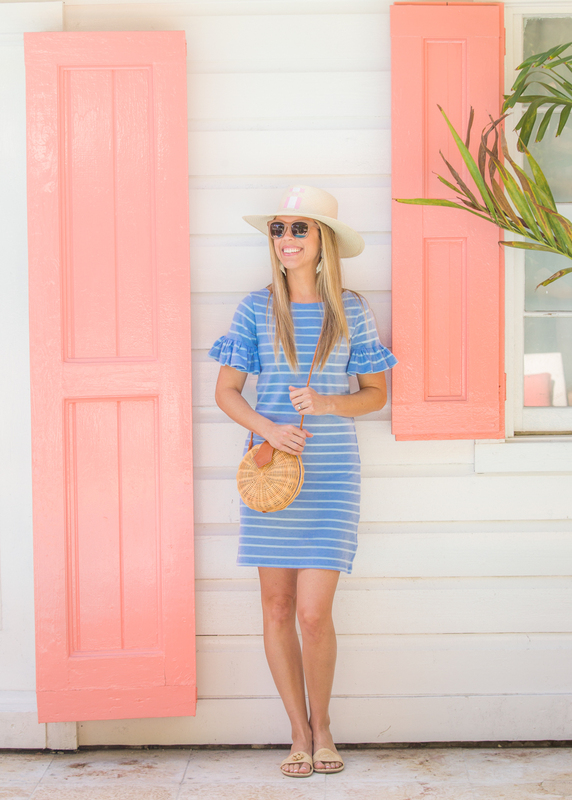 The ruffly sleeves make a really cute twist on this classic shift dress and to give it island vibes, I paired it with my Hat <similar>, Wicker Crossbody, Raffia Slides, Lily Earrings and Sunnies. 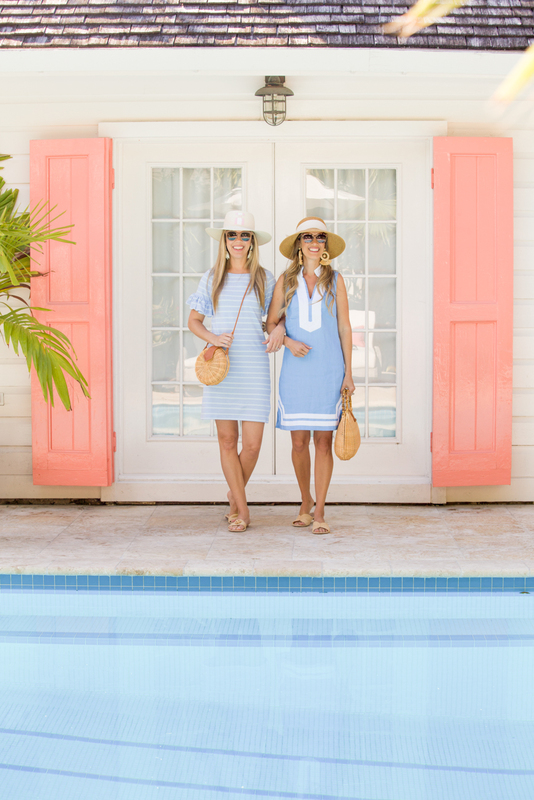 I also love STS’s Tweed Shift Dress with the matching Mini-Me Tweed Dress, this Stripe Off-Shoulder Dress, and this Sunburst Shift Dress! 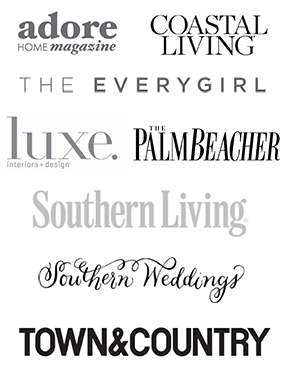 *Thank you to Sail to Sable for partnering with us on this post!